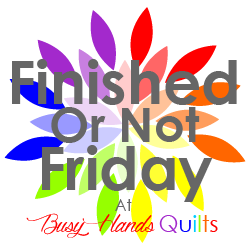 it feels so great to have another project done from my 3rd quarter finish-a-long list!! i started this project during a retreat. 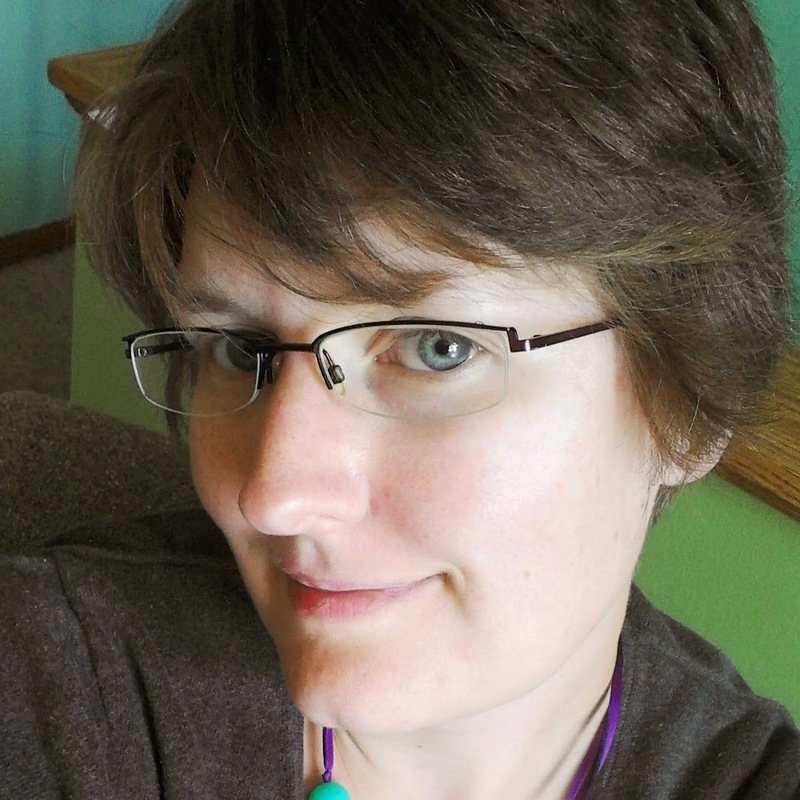 i had it all cut out and started piecing. But like most quilters i have Project ADD and started another quilt before i finished this one. 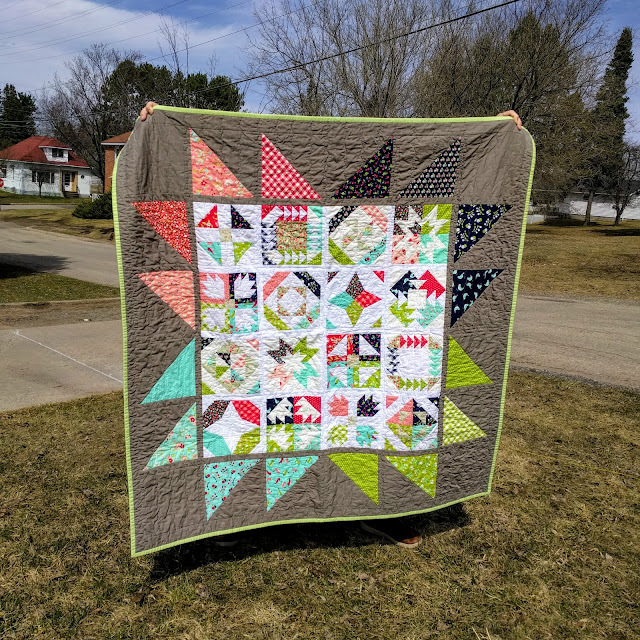 well at the beginning of the summer i finally finished the piecing and again it sat. finally last week i decided it was time to tackle the quilting. i had just finished my Two at a Time quilt so my machine was primed for quilting and went for it. i tried to match the thread as best to the solids as possible. the quilting to simple, a straight line echo around the half hexagons and filled in the yellow. 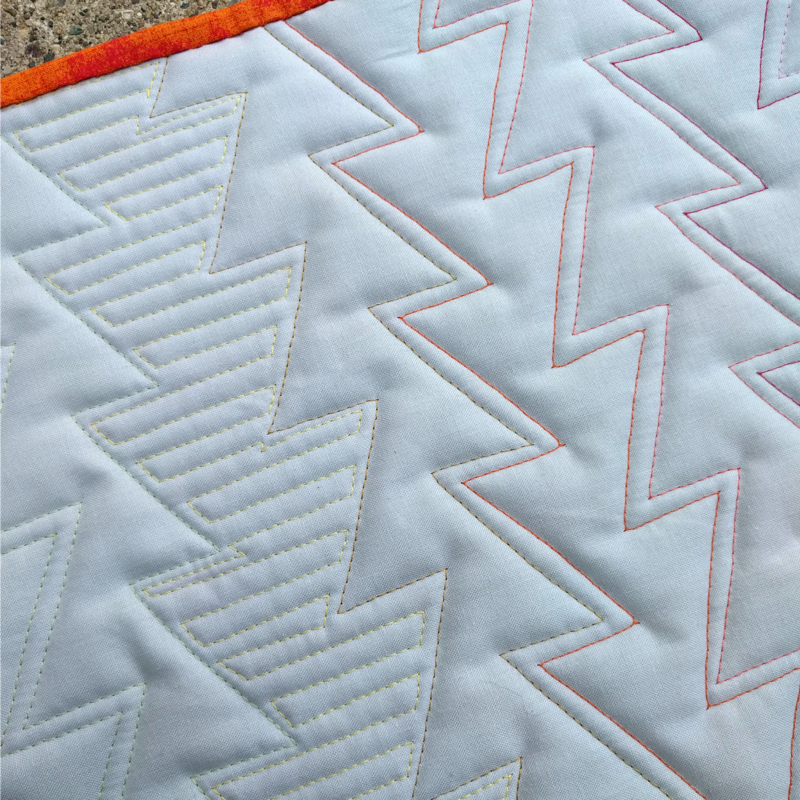 i used Dream Wool batting and with the echo quilting it really made the un-quilted areas pop. you can really see the quilting from the back. which i love almost as much as the front. this was a great little project to finish up and it is just so nice to have another project done! now maybe when i can find some time, i can create this mini again, but this time in cool or evening colors. 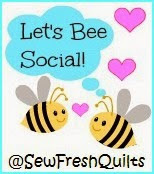 Linking up with Lorna from Sew Fresh Quilts for Let's Bee Social and Amanda from Crazy Mom Quilts for Finish it Up Friday. What a beautiful mini quilt! 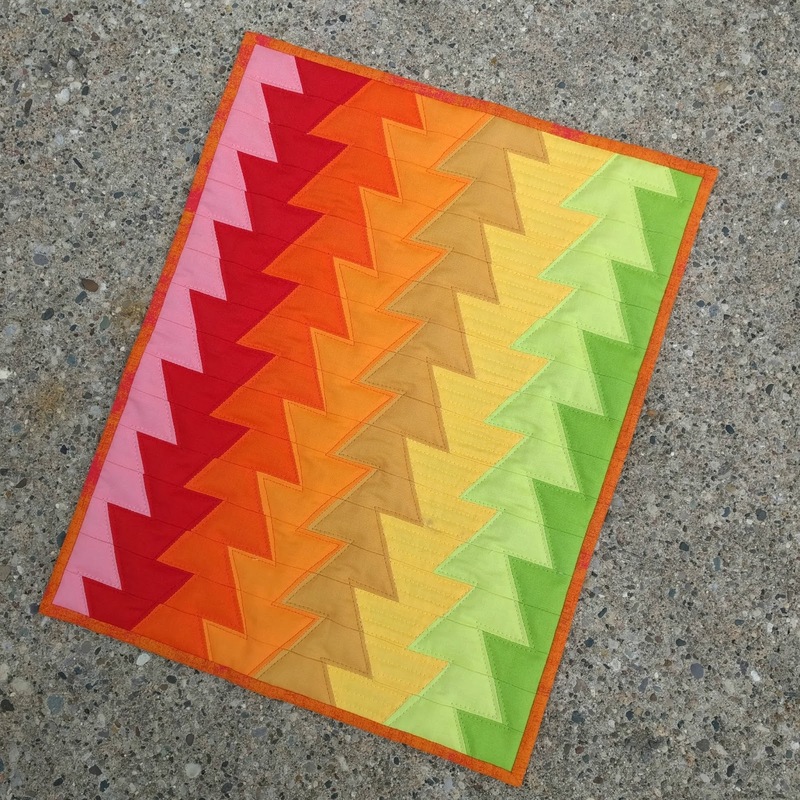 I love your quilting, too! Thanks, it is a great feeling to finish up those projects! Beautiful mini quilt; it reminds me that I must make something from solids only too. 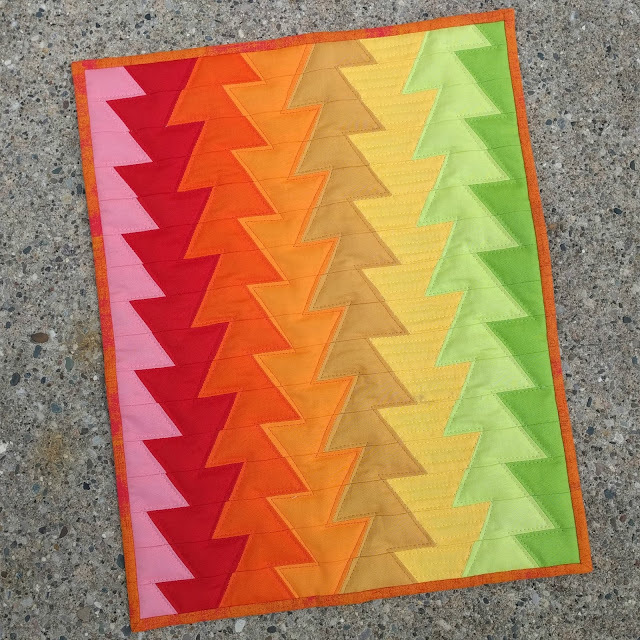 I have recently started making solid quilts and i'm really enjoying it! I love the movement in your mini. 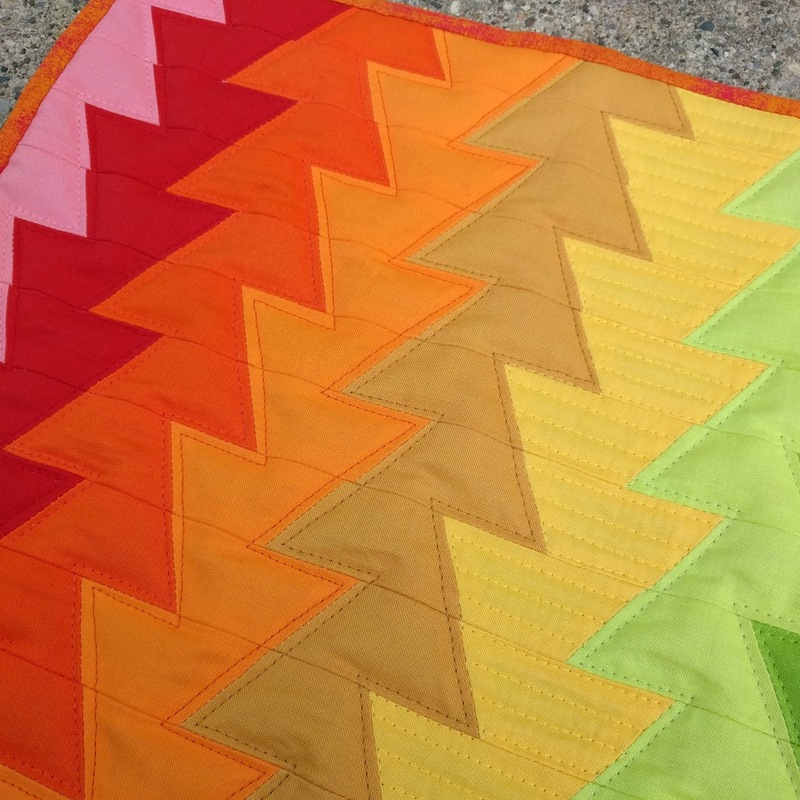 Great colors and I like how you chose to fill in the yellow only with quilting. A companion in cool colors would be lovely. 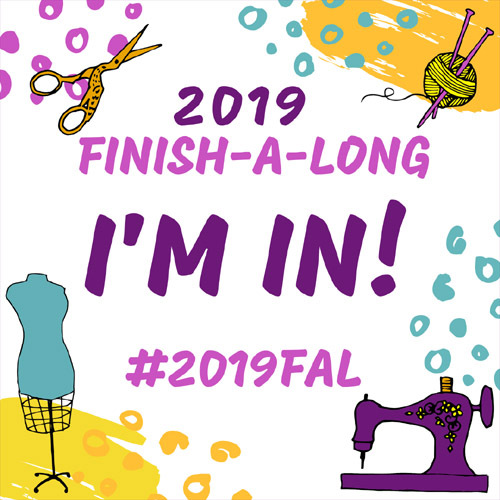 Thanks, I can't wait to make the companion quilt! I love your fmqing. It hardly looks free.